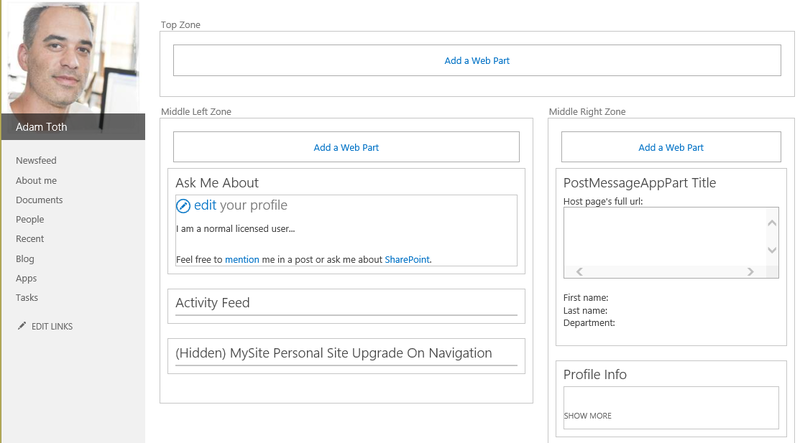 March 2015 – Share SharePoint Points ! 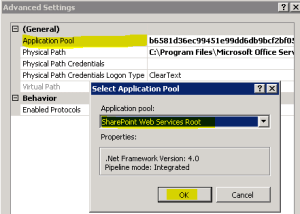 Unfortunately, SharePoint Client App Parts can only get information from the first option, through Client App Part Properties. When you build your Client App Part with custom properties, they appear in the App Part’s tool pane when you edit the App Part, similar to normal Web Part toolpane properties. Client App Part properties are a little different though – setting these actually appends a querystring parameter to the App Part’s iframe src attribute, which your App Part page can then read when it starts up. 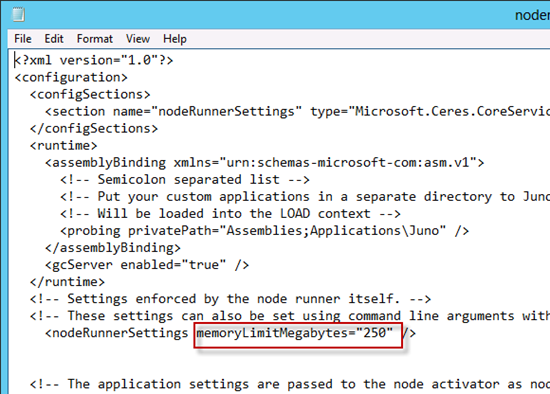 That’s good for setting a one-time configuration of your App Part, but you can’t change any of those properties dynamically in response to changes in the host page. 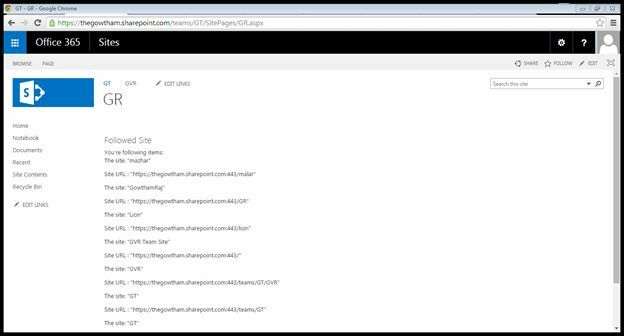 In this post, I’ll show you how to pass additional data from the host page to your Client App Parts via the postMessage api, effectively opening the door to leveraging 2-6 above. 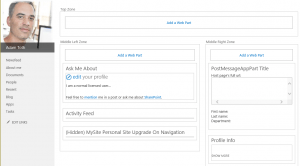 The example I’ll show will be an App Part placed on the MySite Host’s About Me page. The App Part will read the host page’s accountname querystring parameter to determine which user profile is being viewed, and will display some basic profile information about that user. 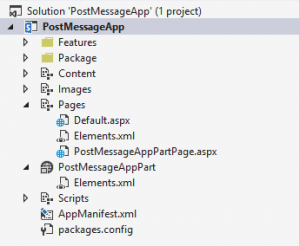 The postMessage API was designed to enable safe, cross-domain communication between windows or iframes. Essentially each window needs to opt-in to accepting communications from other cross-origin/cross-domain windows. 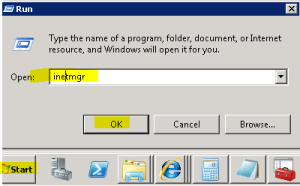 Any window or iframe can send messages to another window or iframe just by calling the postMessage method. If the target window hasn’t opted-in to listen for these messages, the messages are just silently ignored. The first step in getting this to work is to configure your Client App Part page to send a request to the host page, and to configure a listener for the host page’s response. 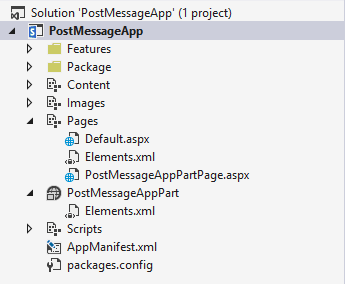 To start this out, using Visual Studio 2013, I created a new SharePoint App project called PostMessageApp, added a Client Web Part (Host Web) called PostMessageAppPart, and created a new page for the App Part called PostMessageAppPartPage.aspx. I gave the App Part the Read permissions to the User Profile (Social) permission set. This script accomplishes two things: 1) it sends a message to the host page requesting information, and 2) it registers a listener (callback) for the response from the host page. Notice that I’m sending a stringified JSON object to the host page, which I will reconstitute later. When you send messages between windows, you are just sending one string of data. You can choose to send XML, plain text, or even stringified JSON. At this point I can send a message to the host page, but since the host page isn’t listening for it yet, the message will just silently get ignored. By putting these scripts in place, I have allowed my host page to give information to any window or iframe that sends a request message. 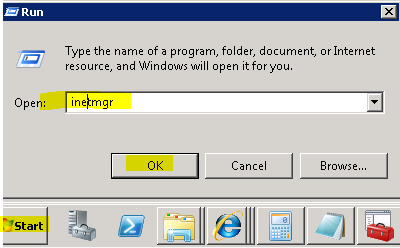 It’s a good idea to make this more secure, and only give host page information out to windows that you trust. You can get as restrictive or permissive as you want/need with this validation. For the purposes of this example, this basic validation will suffice to demonstrate the point, but I would recommend beefing this up in your own implementations. Now, on to the last part, consuming the information. // Use the current user instead. 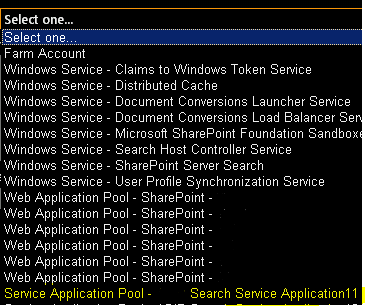 As per one of my project requirement, I need to configure SharePoint 2013 sites to be accessed by anonymous users. 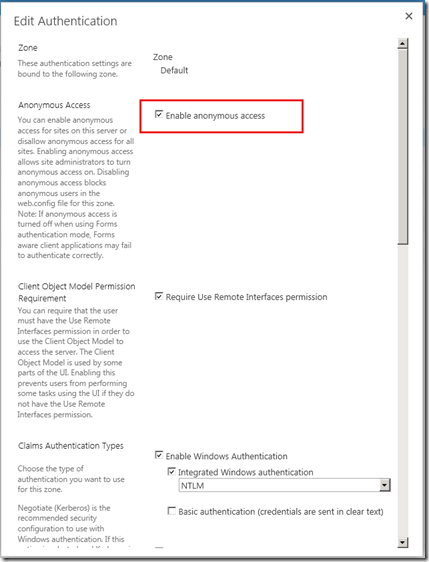 So I had configured the anonymous access on SP 2013 web application and documenting steps below which are required to configure anonymous access to an existing SharePoint 2013 site. 1. 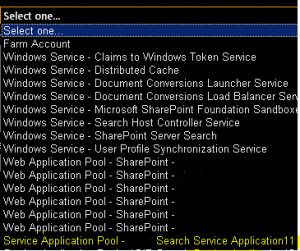 Please navigate to the SharePoint 2013 Central Administration > Application Management section, click the “Manage web applications” link. 2. Now from the list of the web applications opened, click on one of the available web applications and find “Authentication providers” button from Ribbon. It will pop up a modal dialog showing the authentication providers available per zone is displayed. The basic scenario was set at time of web application creation is only displayed there as “Default” zone. 3. Click the “Default” link so a new modal dialog is displayed. Just check the “Enable anonymous access” option and press the “Save” button. 4. Till this step, we have enabled the anonymous access at web application level, but in order to implement this fully, navigate to one of the site collections created under the configured web application and go to “Site Actions-> Site Settings”. Under the “Users and permissions” section, click the “People and groups” link. 5. 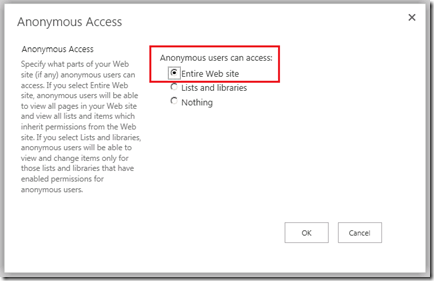 On this screen, SharePoint 2013’s Ribbon display is an “Anonymous Access” button that allows user to configure how anonymous users can access to the site. 6. Press the “Anonymous Access” button in the Ribbon so the related configuration modal dialog is shown. In this dialog you have three configuration options, just click the first one that provides full anonymous access to the site. Press the “OK” button. 7. Navigate back to the “People and Groups” page, check there is a new group called “Anonymous users” available in the list. 8. This is the final step. To verify and finish, close all the instances of the browser and start a new instance. Type the Url of the site collection and check that user don’t need to provide credentials information since anonymous access is enabled on the entire site. 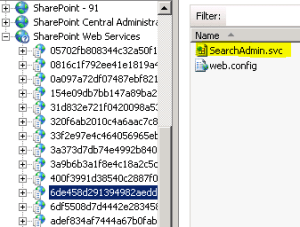 That’s all about how to enable anonymous access to a SharePoint 2013 site.